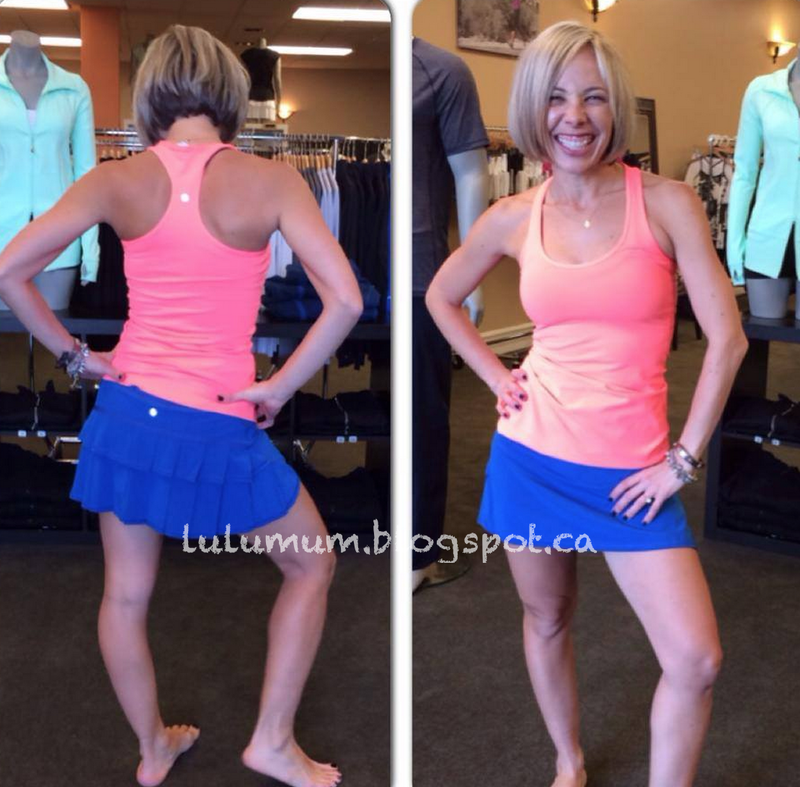 I almost overlooked this store photo with a new Energy Bra in what looks like Angel Blue (Bali Breeze) with Fresh Teal and Lavender Dusk straps, and an Angel Blue with White trim Power Y Tank. We’ve seen a few random sprinkles of Angel Blue online (105f Singlet and solid CRB), so I wonder if now it will be integrated into the February palette of Fatigue Green, Cadet Blue and Bali Breeze Green. I’m not sure what Orange CRB (Very Light Flare) that is on the bottom photo but I hope its Plum Peach (like the Post Practice Cardi) which may also be the same orange thats in the new WAFS/CABU Wunder Under Crops. I bet the CRB paired with the Wunder Unders will look amazing. "Fatigue Green Studio Crops, Pink Zing and Cadet Blue WAFS Wunder Unders"